Role-playing games are usually lauded for dramatic storytelling first and foremost. Sure, there’s a lot of comic relief in our favorite RPGs, but “serious story” tends to be what defines them most. It’s what most of us think about when critiquing them, anyway. Yet curiously, one of Square Enix’s longest-running IPs is more iconic for its quirky tone. Dragon Quest games tell a variety of tales, ranging from simple destinies to jaunts filled with comedy to tear-jerking twists to the gut. Heck, Dragon Quest V has the darkest story in the series, featuring (MANY SAD SPOILERS REDACTED), and it’s a fan favorite. If anything, I should be advocating for more games in this series to follow in its somber footsteps, which I gladly will do! 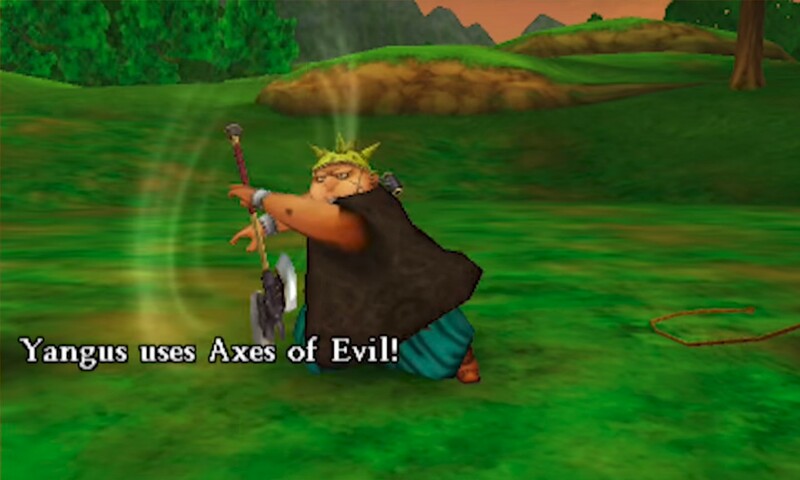 But like the rest of the series, even DQV is stuffed with puns and oddities which set an overarching mood of levity. And this series is all the more lovable for how it uses them. The vast majority of monsters, towns, and minor NPCs are named after puns, alliteration, or some other form of wordplay. Need to get past a locked gate? Why not visit the nearby town of Stockenbarrel? Want to do some item crafting? Perhaps get some help from the sentient alchemy jar, Krak Pot. And so on for almost every character or thing. Major antagonists and party members have more normal names, but practically every minor story beat uses these puns aplenty. One of my favorite examples is in Dragon Quest IX, wherein at one point the hero meets a doll-loving girl named Marion. Her doll’s name? Marionette. The joke is so obvious, but it’s also completely natural! Clever wordplay like this frequently causes smirks and chuckles during these adventures. Then there’s the onomatopoeia-based spell and ability names. It doesn’t apply to every spell in the book, but the vast majority of them follow examples such as Zoom for fast travel, Kazap for lightning damage, and Oomph for an attack buff. It’s so simple, yet brilliant. I mean, picture how it works in practice. A grizzly old wizard holds his magic cane up in the sky, magical circles forming as the air around his enemies thins. Then, he utters the incantation: “Kaboom”! The word appears with a bold, decorative font in his speech bubble as a massive explosion eradicates the monsters. It’s so goofy, and also distinctive and practical. When you read the words “Sizz,” “Sizzle,” and “Kasizzle,” it’s easy to imagine that they’re associated with sizzling heat. Similarly, the -le suffix and ka- prefix fit JRPG spell conventions of additional syllables denoting higher tiers of magic. Even without wordplay, there’s plenty of quirkiness to be seen in the series’s art direction. 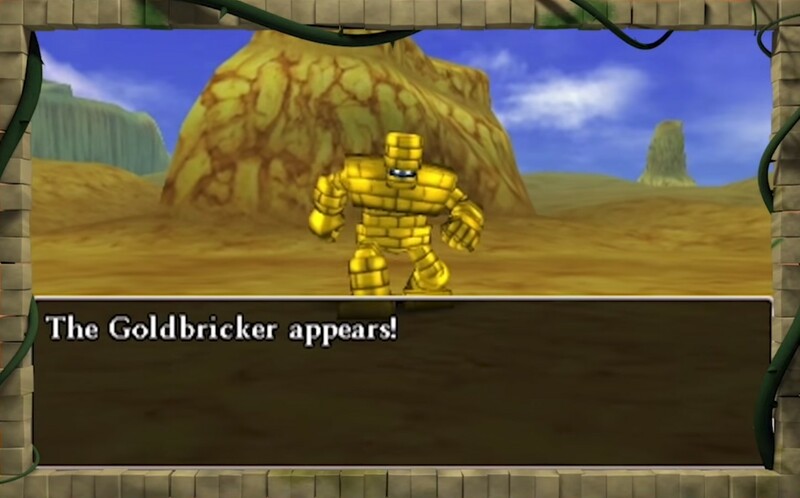 Akira Toriyama has a penchant for striking monster designs of all sorts, but the vast majority of Dragon Quest’s enemies invoke a similar goofiness as their names. Most of them smile with wide, gaping grins. They’re colorful and saturated. As menacing as they can be, many also have a certain affable charm. No wonder there’s so many Monsters games! These elements are just as prominent in every entry of the series, from the goofy spinoff to the main attractions. You’d think it might be intrusive in the case of the especially dark Dragon Quest V, but somehow, it’s leveraged to create a different result. DQV is much more than just a story of constant woes. It’s also a story about how the protagonist constantly manages to fight on despite those woes, eventually landing him a hard-fought happy ending. 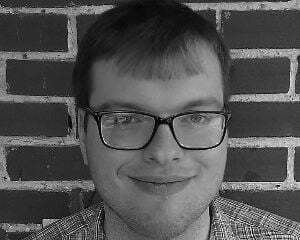 It’s a roller coaster of conflicting emotions that paint the picture of a world that’s somehow both cruel and joyful. So, what’s the point of all this? Most RPG fans love rich, deep stories with complex wrinkles and emotional hardships aplenty. But to say everyone who enjoys RPGs wants that kind of experience all the time is an exaggeration. Even the best sad stories can be too much sometimes. Likewise, there are plenty of games built primarily around simple, joyous romps, like the Kirby series, but that experience is rarely explored within genres like RPGs. Dragon Quest games use these devices, among others, to build an atmosphere unlike that of most RPGs. It offers the strategic and narrative conventions typical of the genre, but it rarely feels outright depressing. No matter where you turn, no matter how rough things get in the moment, there’s something to smile about somewhere in the world or in your toolkit. In a way, it’s inspiring and uplifting. It fits the series’s traditionalist design philosophy well, because at the end of the day, it’s all mostly about having fun. And that’s okay, because video games were invented to be fun. 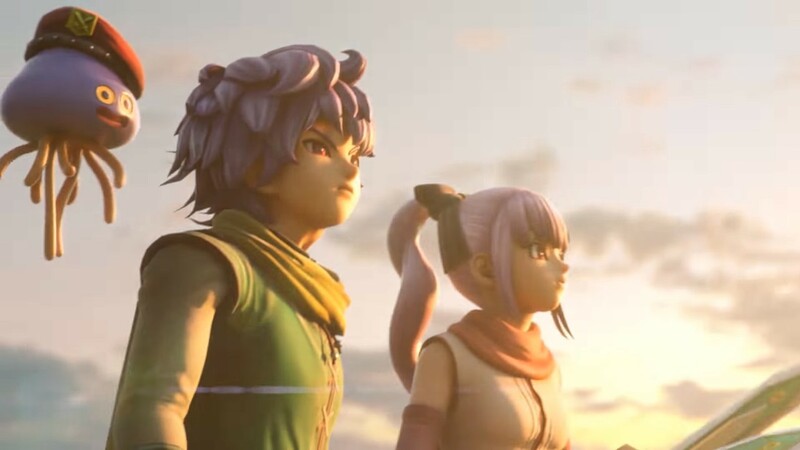 It’s always awesome when games experiment and delve deeper to accomplish goals other than “having fun.” But just because RPGs are famous for invoking other feelings, that doesn’t mean one can’t have that same appeal as a mascot platformer. 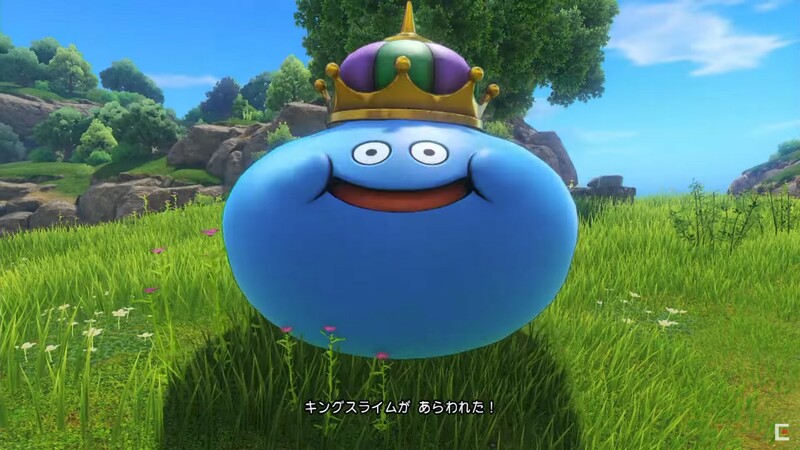 If I ever need a pick-me-up, just about anything Dragon Quest can raise my spirits faster than a Kazing.